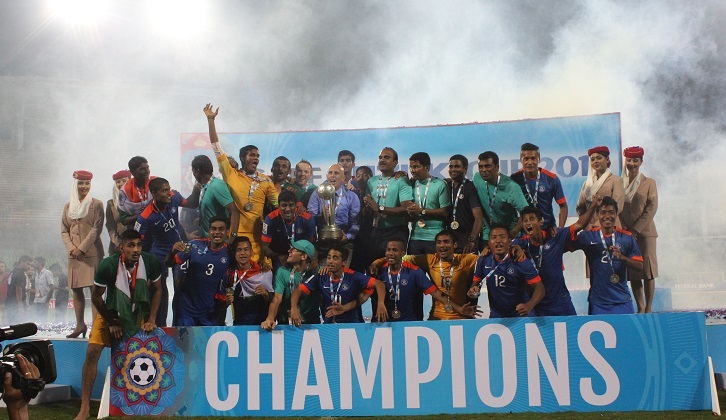 India crowned Champions of SAFF Suzuki Cup 2015. India has won their record seventh title for the most prestigious football trophy in South East Asia by beating Afghanistan in the final in Thiruvananthapuram yesterday. A silverware after a long wait of 4 years is certainly a welcome silver lining on the dark horizons of Indian football. But this SAFF Cup has brought us more than just the Cup. 1. Confidence Booster for a newly assembled team: The team was newly assembled just before FIFA World Cup Qualifiers. 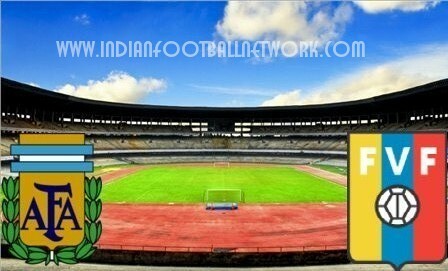 The core of the Indian national football team was changed. The trusted players like Climax Lawrence, Mehtab Hossein, Gourmangi, Cliford Miranda, Rahim Nabi all were past their prime and few of them took retirement from International footballalready . So Stephen Constantine selected young good performers like Gurpreet Sing Sandhu, Narayan Das, Arnab Mondal, Pritam Kotal, Eugenson Lyndoh, Rolin Borges. This team with new boys, however, did not live up to the expectation of fans in FIFA world cup qualifiers. Though they gave some good fight in home matches to Asian Football powerhouse like Oman and Iran but losing to Guam or Turkemenistan was disappointing. 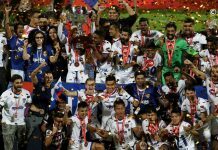 Now India has won the Suzuki SAFF cup with an all win record with new faces. A wining habit at any level is important for bigger success. This will surely boost some confidence among these youngsters. All young faces have tested which will help coach and selectors to conclude a best possible staring eleven. 2. 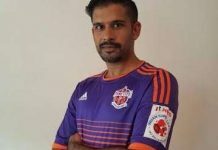 Selection of National Team: The selection procedure of Indian national football team has been streamlined since the arrival of Stephan Constantine. As this is his second tenure as Indian National Football team coach, he kept faith on his trusted boys of past and tried to build a scouting system and implementing good selection procedure. It has been observed by fans that in recent past team selection was not very best. For reasons unknown, many in-form players or good performers in domestic leagues were not selected on several occasions. The noteworthy names who faced this are: Malswama Tulunga, Lalkamal Bhowmik, Mehtab Hossain, Alvito D’Cunha, Lalrindika Ralte, Debjit Majumder. This was observed even during the selection of team for 2018 FIFA WCQs. But SAFF Cup camp was the first time that Stephen Constantine had called up notable performers of domestic leagues and Indian Super League. Players like Arjun Tudu, Koushik Sardar, Amrindar Singh, Bikash Jairu, Romeo Fernandez, Mandar Rao Deshai along with young boy Chhangte got calls for the preliminary camp. Hope this is just the beginning and slowly we will see all good performers getting rewarded for their hard work, which will be a big boost for domestic leagues. Lallianzuala Chhangte: The new kid on the block! 3. Arrival of Lallianzuala Chhangte : The kid announced his arrival in Indian football in style. He has stolen all eyes after his brilliant strike against Nepal in SAFF Championship group leg game. The Mizoram lad has set a new record in the history of Indian football too. Chhangte, the 18 year four months old striker has been the youngest scorer in competitive FIFA recognized tournament for senior Indian squad, overshadowing the legendary Bhaichung Bhutia who started his journey in the senior Indian squad as 18 year and six months old only and scored his debut goal. We would love to see more from this amazing lad in coming days. 4. First Overseas Coach to Win Suzuki SAFF Cup: Stephen Constantine has become the first foreign coach of Indian National football team to win SAFF cup. Great coaches like Rustom Akramav, Bob Houghton, Wim Koevermance and Stephen himself in his earlier stint had failed to win SAFF Cup. 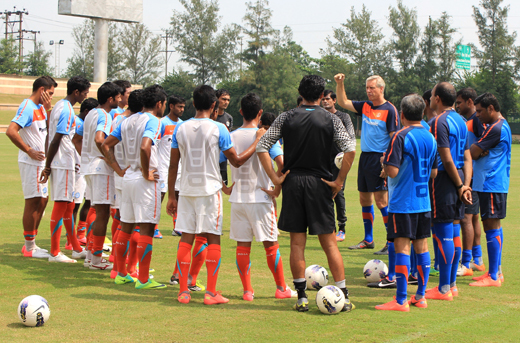 Though India won the SAFF Cup during Bob Houghton’s tenure in 2009, the young U-23 team was guided by Sukhwinder Singh. We congratulate Stephen Constantine for breaking the jinx.